Jenifer Midili has over 20 years of experience working with children and families. She joined Children’s Speech and Language Services in 2010, where she was mentored in PROMPT© by Ginny Hemmer, PROMPT© Certified Instructor. Jenifer received her PROMPT© Certification in 2012. She is certified by the American Speech-Language-Hearing Association (ASHA) and is licensed to practice speech therapy in the state of Virginia. In addition, Jenifer has extensive training in the area of feeding. In 2012, she participated in an advanced feeding workshop with renowned feeding specialist, Suzanne Evan Morris. She is also trained in Kay Toomey’s SOS (Sequential Oral Sensory) approach to feeding. In addition to several feeding trainings with feeding specialists such as Melanie Potock, Lori Overland, Debra Beckman and Diane Bahr, Jenifer has completed the Orofacial Myology from Basics to Habituation course with Sandra Holtzman and is currently a Certification Track Candidate in Orofacial Myology. She coordinates the feeding program at our Falls Church office. 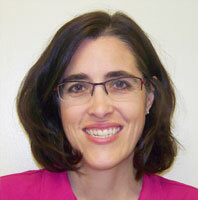 In addition, Jenifer is trained to administer the Autism Diagnostic Observation Schedule, Second Edition (ADOS-2). Earlier in her career, after earning her Master’s degree in Speech-Language Pathology at George Washington University, Jenifer practiced pediatric speech therapy at a private practice and INOVA Fairfax Hospital with a focus on working with children with severe feeding and speech and language problems. She worked at Walter Reed Army Medical Center and the National Rehabilitation Hospital where she focused on Traumatic Brain Injuries in adults and children. She also worked in the public schools as an elementary school teacher for 5 years, giving her the opportunity to work within the IEP process and help parents become advocates for their children’s needs within the school system. In her free time, Jenifer enjoys spending time with her husband and daughter.